First Sunburn of the Year! 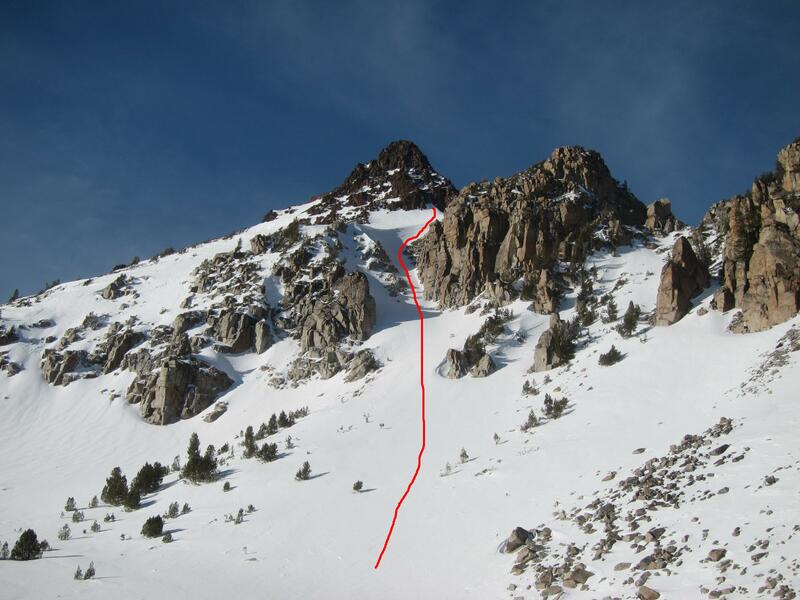 Even though high pressure has been keeping conditions firm, Kip had an idea for a traverse from Sawtooth into Little Granite Creek, down Peak 8620′ into Scotch Creek, then down Ruby. I thought it was a great idea. After strategic rig shuttling we began the slog up Falls Creek to Sawtooth. Emily and I checked on conditions in the Sawtooth area last week. 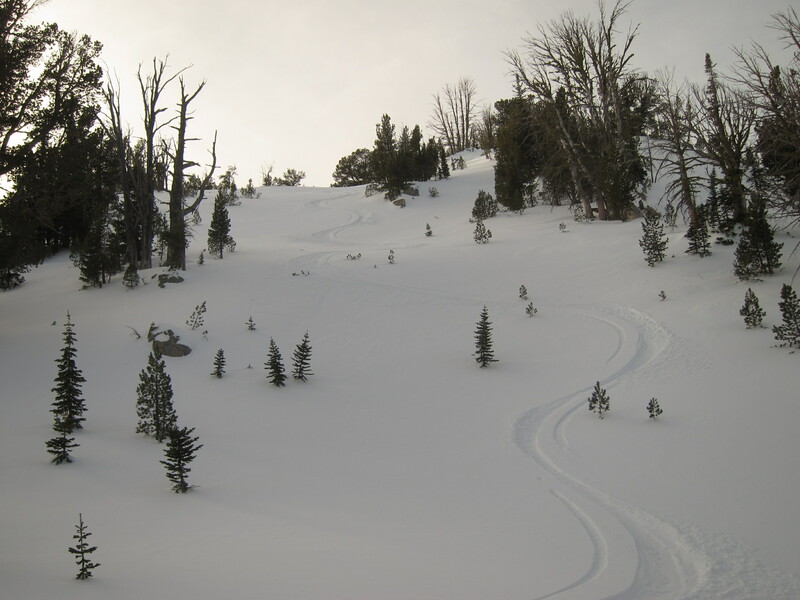 Still pretty bony out there but good turns were found. 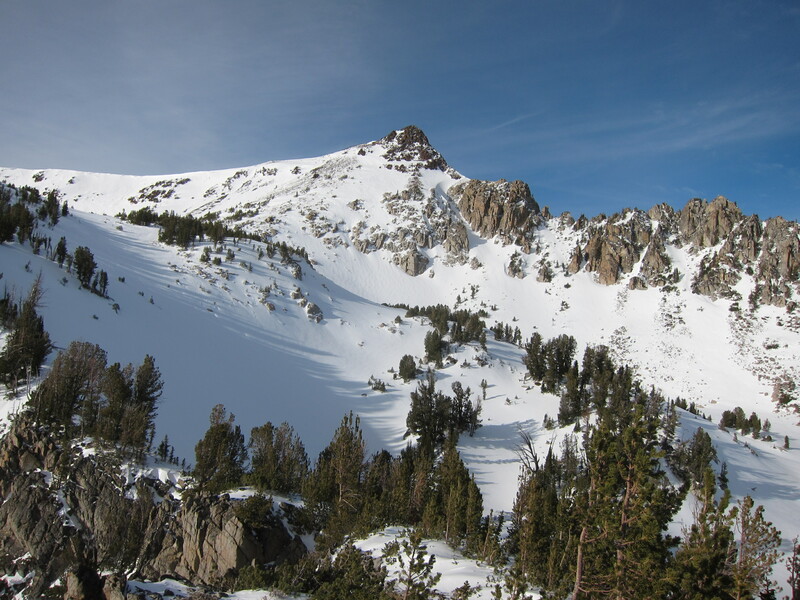 Sawtooth Peak. 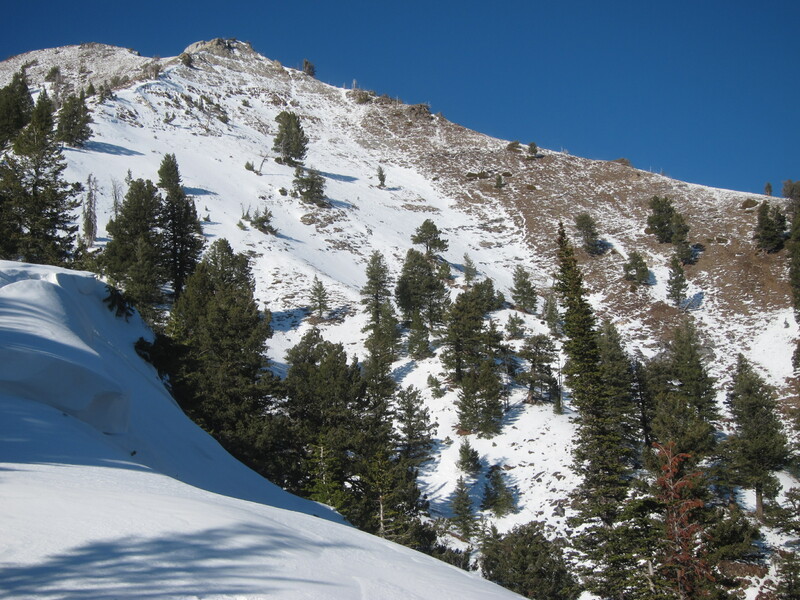 The shaded slope in the foreground held amazing fluffy powder. I did a little recon around the Sawtooth Peak area today and was pleasantly surprised to find lots of quality powder. 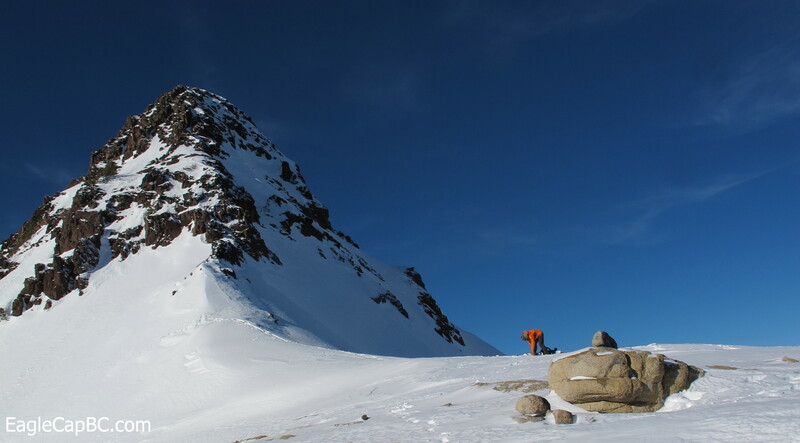 The approach was a bit annoying, plenty of bootpacking and bushwhacking. I’m not sure if it’s the low snow year, or if it’s just the way to do things around here. Either way I’m getting used to it. It’s pretty encouraging to be able to find good snow yet, as we haven’t had a significant storm in quite some time. Snow has been avoiding NE Oregon thus far. I know its only the first of December and there’s plenty of time but I’m getting antsy. All the chores around the house are finished (well, pretty much. That list never ends.) All the ski gear is ready to go, just waiting on the white stuff. Anyway, here’s a few pictures from the last couple of days. Note the lack of snow.